A long time ago in Cornwall, there was a village called Mowzel. In the village there was a hidden safe harbour where the fishing boats are kept to protect them from the terrible storms. There was a blue, green sea shimmering around the coast. The gap between the harbour walls was so small that the fishermen called it the Mousehole. In that small seaside village, there lived a cat called Mowzer. Tom lived close to the sea (Tom is Mowzer’s pet). Mowzer was a black and white cat with yellow eyes. Mowzer’s son lived in a busy and very messy bar down at the quayside. Mowzer didn’t like it very much because men sometimes spilt beer on her head. The beer was sticky and made Mowzer’s fur go sticky and itchy. Mowzer’s daughter lived in a shop. She was ginger with whiskers that were as white as snow. Everywhere there were pretty vegetables and lots of customers busy shopping. Tom was a friendly man and he looked after Mowzer. They lived in a lovely cottage. Mowzer liked Tom the best because Tom rocks the rocking chair at the right speed and makes the milk as white as a cloud. He knows which place she likes being tickled behind her left fluffy black ear. When Tom isn’t looking after Mowzer, he is on the huge blue green sea catching fish. One year, there came a terrible winter. The sky turned grey. In the cottage Mowzer thought “when the great storm cat is howling it is best to stay inside by a friendly fire.” Then the great storm cat drew up its strength and slammed against the stone walls but they were too high. Then it tried to go through the Mousehole but it was too small. However long he tried he could not get the boats inside the harbour walls and sadly the boats outside sank. The boats inside were safe but they could not get out. The little village began to grow hungry. They had eaten all the vegetables, all the bread and drunk all the milk. All the men in the cosy village went to catch fish. They tried and tried but they couldn’t get through the Mousehole. Mowzer felt really sad and hungry. She wanted it to be over so she could have delicious star-gazy pie with prime pilchard in pastry and lovely morgy-broth and yummy kedgeree with smoked ling. Tom and Mowzer didn’t have any fish at all. Neither did the rest of Mousehole. All they had was some vegetables, and Mowzer didn’t like them one bit. They decided to set out the next day to get some delicious fish. It was to save Mousehole and Tom felt he should do it because he had no children. They were going to go in the cold, early morning. In the morning they set off and left a bright lantern on in their house. They left at 6.30am. It was time to save Mousehole! Tom put on his jacket and coat and strode across the rocky path. Mowzer was freezing cold so she snuggled up to Tom in the pouring rain. Tom was as cosy as a bed and Mowzer was pleased to have him. The rain is cold thought Mowzer. The rain tickled Mowzer’s tail. The storm was terrible. 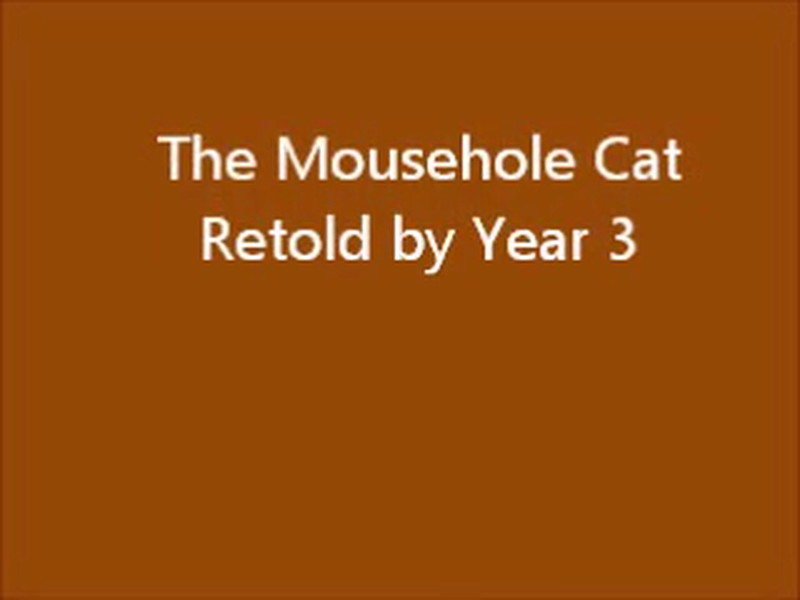 Mowzer stared through the tiny Mousehole at the Storm-Cat on their fishing boat. As they drove through the harbour, Mowzer could feel the water spraying at her. The Storm-Cat swayed about pushing the boat back and forth and trying to push them down into the water but it didn’t work! The terrifying cat played with the small ship. It was brown and wooden and looked like a wrecked ship. The sea was as black as paint. The waves were as big as gorillas. Mowzer distracted the Storm-Cat by singing with Tom steering. The wind was a bowling-ball on an alley. The waves argued together, splashing against the boat. They had a mile to go to reach the fishing ground. When Tom brought the net in, Mowzer saw salmon, slithering sea-snakes, shiny catfish, flat flounder, mouth-watering sturgeon, perch and bream. Mouser was tempted to eat them. She was really happy because she was the hero of the day! When Mowzer, who was hungry, thought about the delicious morgy-broth and the fantastic star-gazy pie she started to purr. The Storm-Cat had never heard such a beautiful song in her life because what cat purrs in a windy, stormy sea? The waves quietened and the winds stopped. Tom and Mowzer made their way back home. When the villagers had got up from their dreamy sleep and come out of their charming cottages, they had noticed that their elderly friend Tom had disappeared. The loving villagers looked around wondering what to do when they saw Tom’s lantern gleaming through the open window. Then they knew he had gone. Next, they went to fetch their lanterns asking themselves if Tom would come back. Then they knew what had to be done; put their shimmering lanterns out to guide him home. After that, the light was dancing in the night-sky. The people were looking at the rapid sea searching for old Tom. Finally, as the storm quietened and the sea grew calm, they saw a tiny boat sailing through the Mousehole. There was a great deal of celebration following their return. On the day of the exciting party, everyone helped to cook all the delicious food. Mary made morgy-broth in the biggest cauldron she could find and Ann was baking fairmaids. The cats were happy because of the party.